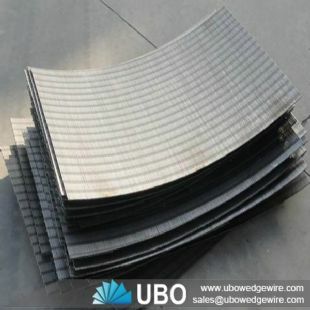 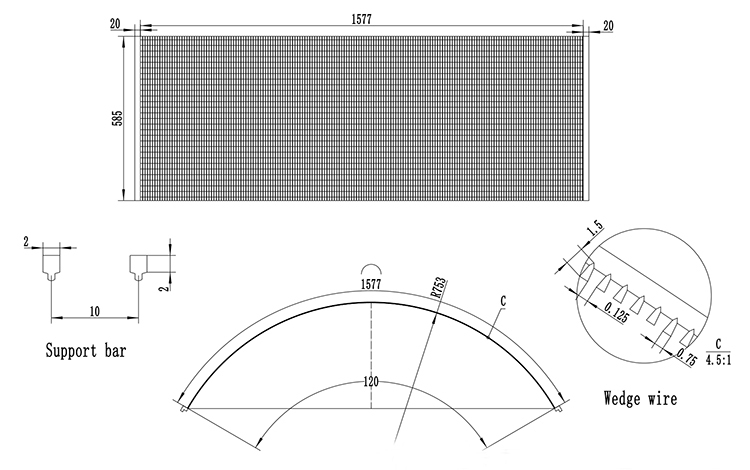 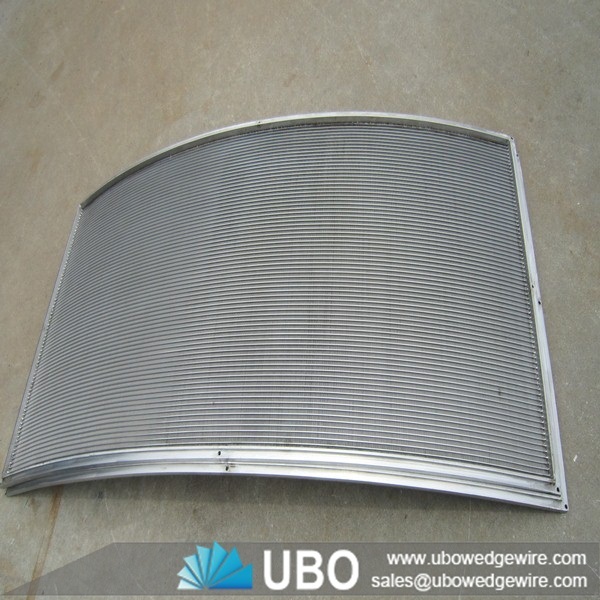 SS sieve bends wedge wire static screens consist of a concave curved profile wire screen mounted in a frame with the screen openings perpendicular to the flow, also referred to as DSM Screens. 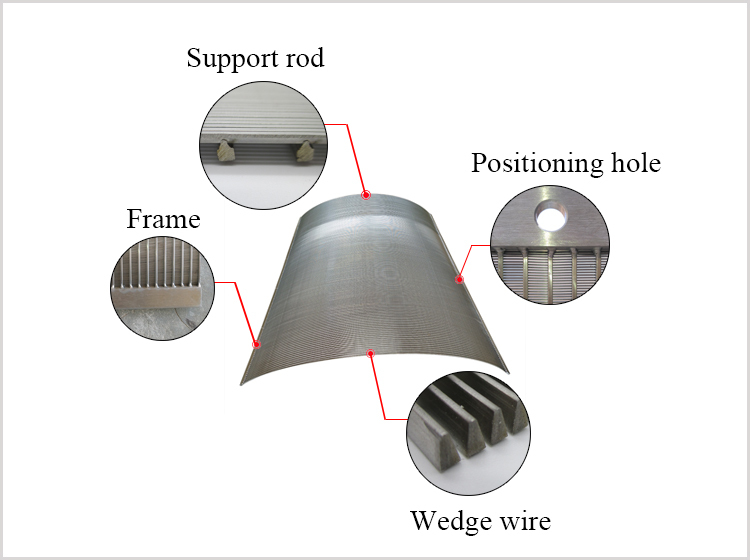 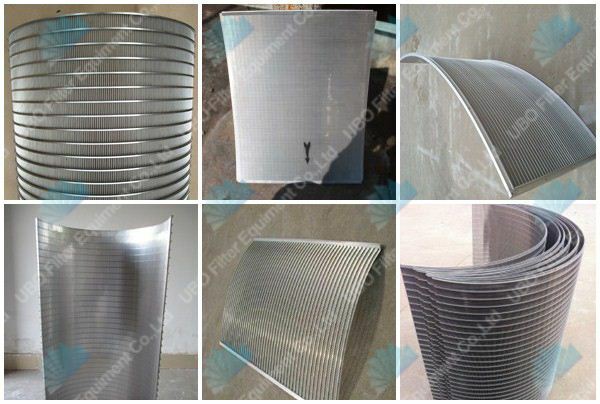 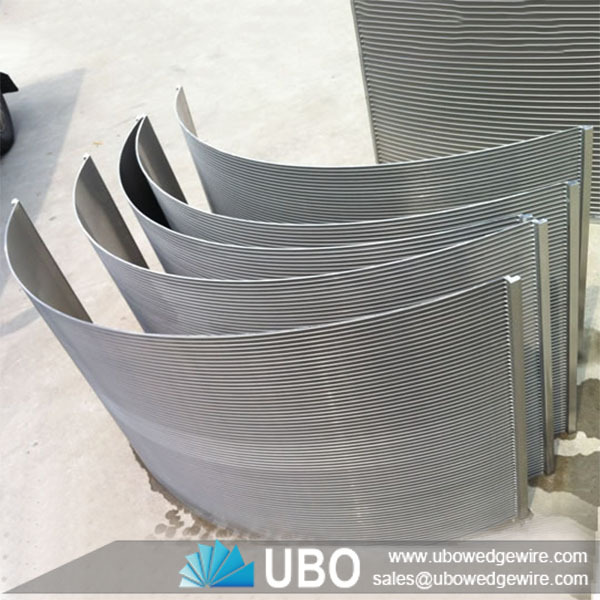 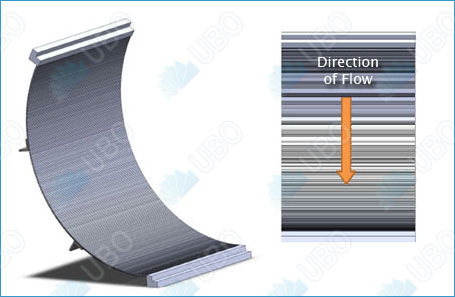 Wedge wire is well suited for high capacity filtration, which a curved screen has greater capacity than a flat screen due to forces exerted as material flows against the curved surface. 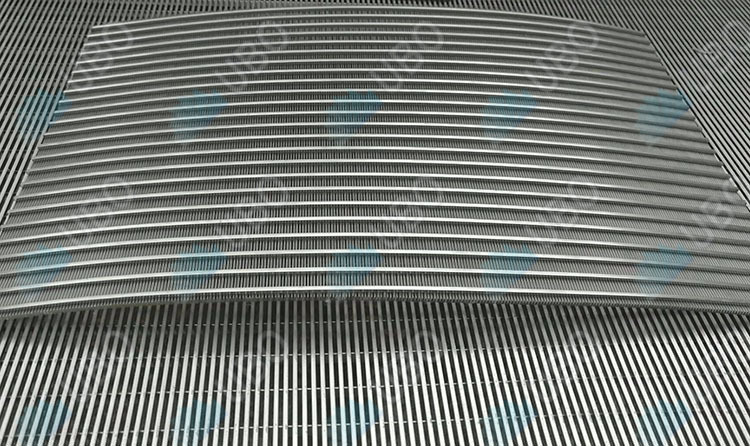 The way these screens work is by the unwanted material flowing over the inclined screen surface. 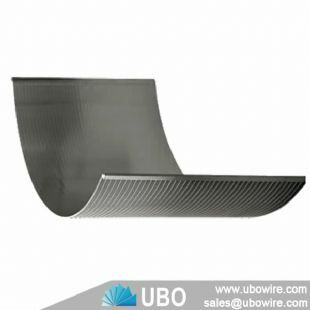 A layer of unwanted material builds up and slides down into a bin or waste basket. 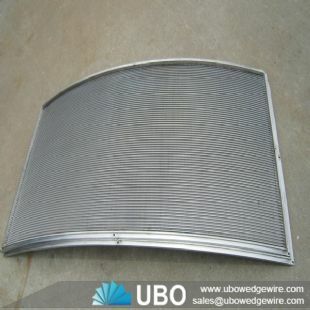 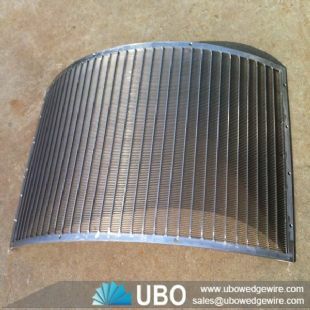 Sieve bend screens are mainly used in dewatering, applications that require liquid / solid separation. 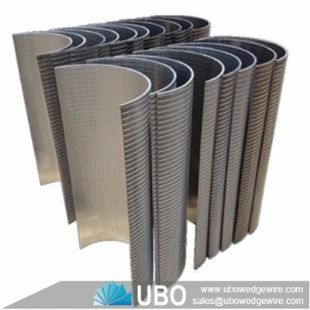 Some of these industries include coal mining & quarrying, sugar & mineral processing, pulp & paper, cement manufacturing, fruit and vegetable wastewater processing etc. 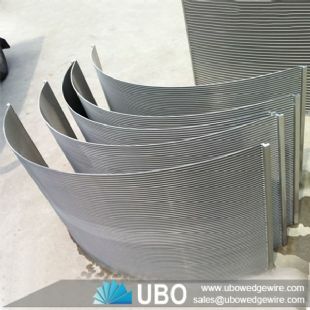 UBO's sieve bend range has been specifically designed to separate fine solids from slurry for many varied applications such as civil aggregate industries, minerals, agriculture, food processing, wood chip and waste water.